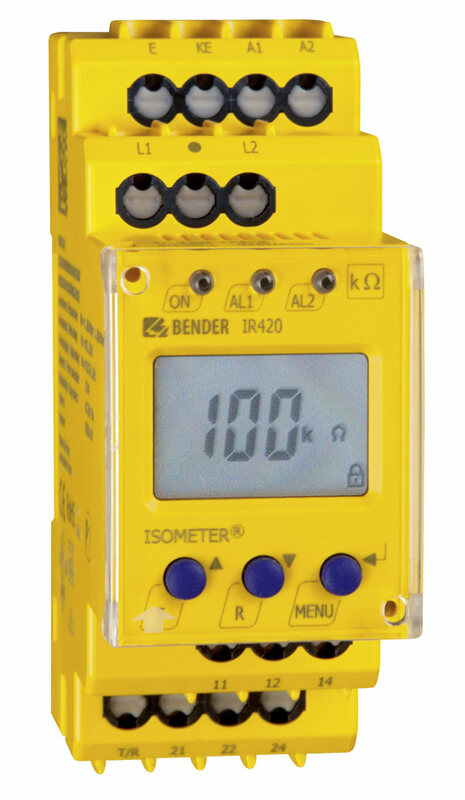 The ISOMETER® IR420-D4 monitors the insulation resistance of unearthed AC control circuits (IT systems) 0…300 V. If the systems to be monitored include DC components, such as switched-mode power supplies or solenoid valves, the display and operating characteristics may be affected. The display and response values apply to pure AC systems. An external supply voltage allows de-energised systems to be monitored too. AC control circuits in the industrial sector, mechanical engineering, power plants, elevators, automation systems etc.